Yogacharya Vishwas Mandlik was born in 1944 in the holy city of Nasik, in 1967 he graduated from University of Pune as Bachelor in Electrical engineering. He started Yoga Vidya Gurukul in 1978 and adopted Yoga as his life mission. 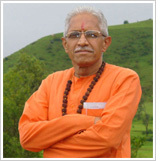 He is the director of Yoga Vidya Gurukul since 1978 and still inspires the activities of the institute. He has designed various yoga programs such as yoga for back ache, weight loss, diabetes, hypertension, prenatal yoga, yoga for elderly, yoga for various professionals, yoga philosophy and many more. 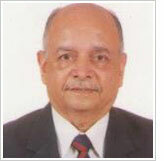 He has treated more than 30000 patients using Yoga teachniques and has contributed to lot of valuable research in Yoga. He has authored more than 18 books and over 50 audio cds, 2 software on Yoga Education, applications of Yoga, Yoga as a Therapy, Yoga for Kids, Women etc. He is the Editor of Yoga monthly called "Yoga Sugandha" for last 25 years. Mrs Mandlik is the wife of Guruji and has been involved with Yoga Vidya Dham since 1983. 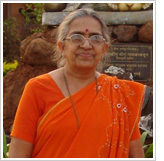 She was initiated into Rishi Sannyasa by Swami Niranjanananda in March 2006. 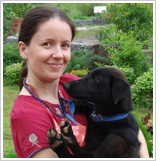 She is the examination controller and certifier for all Marathi (local language) courses. Her interests are mantras, in particular om chanting as well as Indian culture. She likes to give lectures to those studying yoga and the general public on these topics specifically. She has done a lot of study and written books on these subjects. He is a homoeopathic doctor, yoga teacher and yoga therapist from Yoga Vidya Gurukul, living in Nasik. He has a rich experience in Anatomy and Physiology of Yoga practices and has been lecturing on these topics as well as on diseases in the ashram for the last 7 years. He has conducted many workshops in Singapore and Thailand. 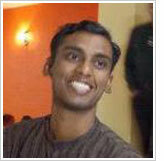 He is Coordinator for public relations at Yoga Vidya Gurukul. 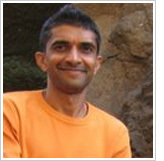 Raman is a yoga teacher of Yoga Vidya Gurukul; he has done his Masters in Yoga from Nagpur University. Yoga is his passion and life aim. He is pursuing his PhD in Yoga currently. He has participated in many Yoga conferences and workshops. He teaches regular classes at ashram and has strong commitment to learning and spreading Traditional Yoga. Roshan has masters degree in history. He has been practicing yoga since last 10 years. He has participated in many yoga competitions and has won many awards. He has participated in many Yoga conferences and workshops. He is teaching in ashram regularly and has been spreading the message of Yoga to people from all over the world..
Mr Bhishmaraj Bam is a retired Inspector General of Police. He is a recipient of Presidents Police medal. During his very successful police career, he started studying Yoga techniques for promotion of excellence in all fields. 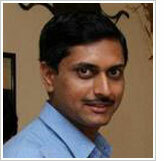 He has specialized in Sports Psychology, Indian Psychology (Yoga) and its applications. He regularly conducts special training lectures and workshops in Sports Psychology, Motivation, Stress Management, Team Work. He is a coach and mentor for many top athletes in india, many of his students currently hold world records in various sports. He was also official mentor for Indian olympic team. He has written many best selling books on Yoga and Sports psychology. He regularly guides students at Yoga Vidya Gurukul. 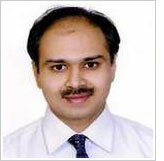 Sujit is a medical doctor and specializes in endocrinology, metabolism and hormones. He has been very successful academically and is the recipient of many gold medals and prestigious awards. He has been involved in clinical research for the last 7 years and has presented and published many research papers in distinguished medical journals all over the world. His keen interest in Yoga and lifestyle makes him a very inspiring and knowledgable medical professional with a very open and positive outlook. He is the author of a successful book "Bliss" which is based on his personal experiments using yoga techniques, medical facts and transformation. He has been associated with Yoga Vidya Gurukul for the last 15 years.